15 Looks That Prove Double Denim Will Never Be "Out"
Here at the Who What Wear office, we tend to get overly excited when we start to see brand-new trends emerge. Whether it's wearing two skirts at once or something our readers are calling "kangaroo" jeans, the trends we get most excited about are sometimes admittedly a bit too out-there to be worn by the average civilian. Which is why we always turn to our readers to see what you're all really loving style-wise—outside the celebrity-influencer cycle. Double-denim outfits are proving to be a trend that's not just an editor favorite but a reader-approved combination too. 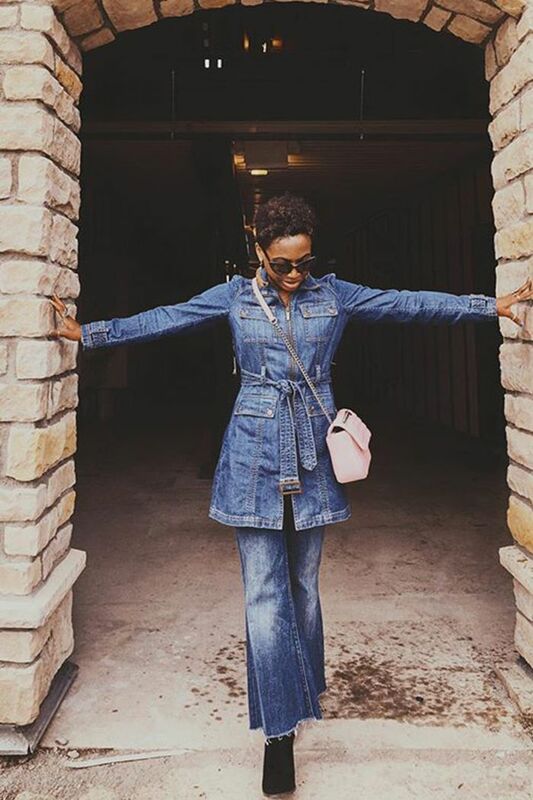 Just below, we're sharing the best denim-on-denim looks that you, our community, shared on Instagram using #WhoWhatWearing. Want to be featured next time? Use the hashtag on your outfit posts so we can see them. A belted denim jacket is perfectly polished. While we'll always love our denim trucker jackets, there's something fresh-feeling and forward about a denim duster. A round of applause for this level of style creativity. Our #1 tip for excelling at the look? Wearing contrasting shades of blue. This look is making a strong case for vintage denim washes. Punctuate mid-wash denim with unexpected accessories in a bright color like red. Minimalists everywhere will be copying this look ASAP. Try out a crisp white denim jacket and white sneakers with your go-to jeans this weekend. Feeling eclectic? Infuse loads of personality into your denim via embroidery. When in doubt, black jeans are a classic. Light-wash denim and white—now that's a fresh combination. Try this Insta-worthy combo: "dad" jeans + "dad" sneakers + oversize denim jacket. Create a cool contrast by wearing distressed jeans with sleek loafers. A denim look that truly goes anywhere, day or night. Now see all the looks from the fun photo shoot we did with two of our coolest L.A. readers.